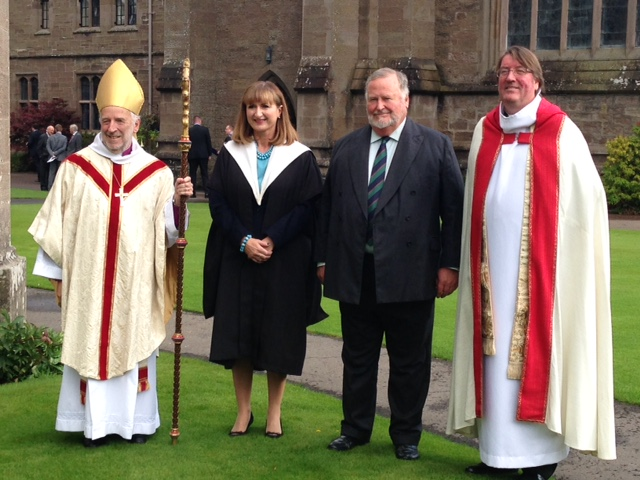 Not quite Septimus Harding – this was the Installation of Elaine Logan as the new Warden of Glenalmond College. The picture is of the new Warden, Elaine Logan, Lord Menzies, Chairman of the College Council and the Chaplain, Fr Giles Dove. Glenalmond is a very close-knit community so the arrival of a new Warden is a big event in the life of the College. It’s also a moment for affirming its history – founded by Gladstone but also an Episcopal Church foundation. The Chapel is central to the life of the community and we gathered there for something which some felt had the feel of an ordination. And it did.